Disclosure: I received free review samples of Road Tax Flipper for this review. I was not required to write a positive review. “Surge in vehicles being clamped since tax disc abolition” … this angry-sounding headline wasn’t published in a tabloid newspaper but in The Guardian, of all places. So has the decision to scrap the paper car tax disc caused problems for motorists? According to figures produced by the Driver and Vehicle Licensing Agency (DVLA), as many as 160,000 vehicles were clamped for non-payment of road tax last year. That compares to about 60,000 cars were clamped each year before the tax disc was scrapped in October 2014. More and more drivers are being fined. The DVLA report shows that the number of fines issued for unpaid road tax has risen by 155% over the last three years. The number of prosecutions has risen by 159%. One reason given for this surge in prosecutions is that without a tax disc in their windscreen, drivers forget to renew their tax. Although you should get a reminder through the post each year, some drivers don’t find this as useful as a visible tax disc. 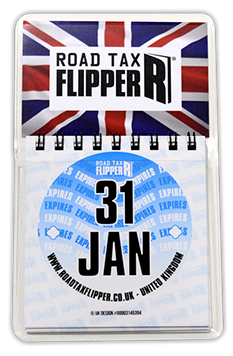 If you think you’d benefit from a tax expiry reminder in your windscreen, the Road Tax Flipper could be the answer. It’s self-adhesive pocket that sticks to your windscreen and contains a flip booklet with one page for each month of the year. 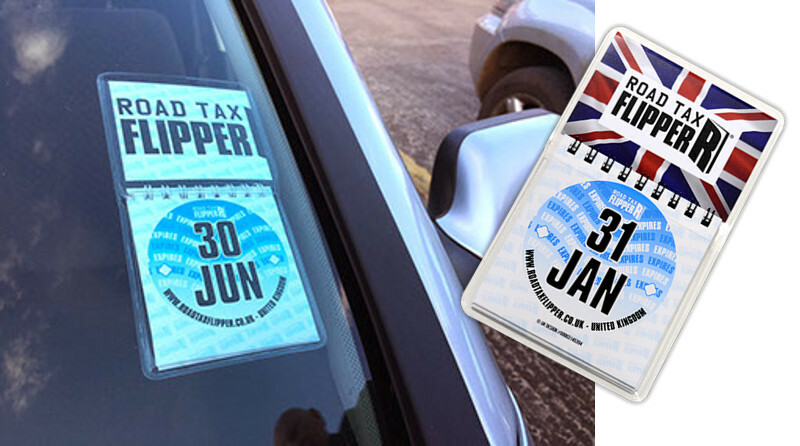 All you have to do is choose the month when your tax expires and stick it in your windscreen — just like a tax disc. There’s also a handy pocket that’s the right size for a business card, MOT reminder or breakdown membership card. We have six Road Tax Flippers to give away, FREE. If you’d like one, then it’s first come, first serve (deadline 31 August 2017). Get in touch via Facebook, Twitter or by email at info@simplemotoring.co.uk. It’s worth remembering that the road tax rules have changed a lot over the last few years. Here’s a summary of what’s new. Are more drivers are failing to renew their tax, or is the DVLA is using its upgraded computer system to crack down on non-payers? I don’t know the answer to that one. In case your unsure, the reason why tax discs are no longer required is that the entire system is digital. So the DVLA’s enforcement team are automatically alerted when drivers fail to renew tax on cars that are in use on the road. If you haven’t SORN’ed you car, then it must be taxed whether it is in use or not.